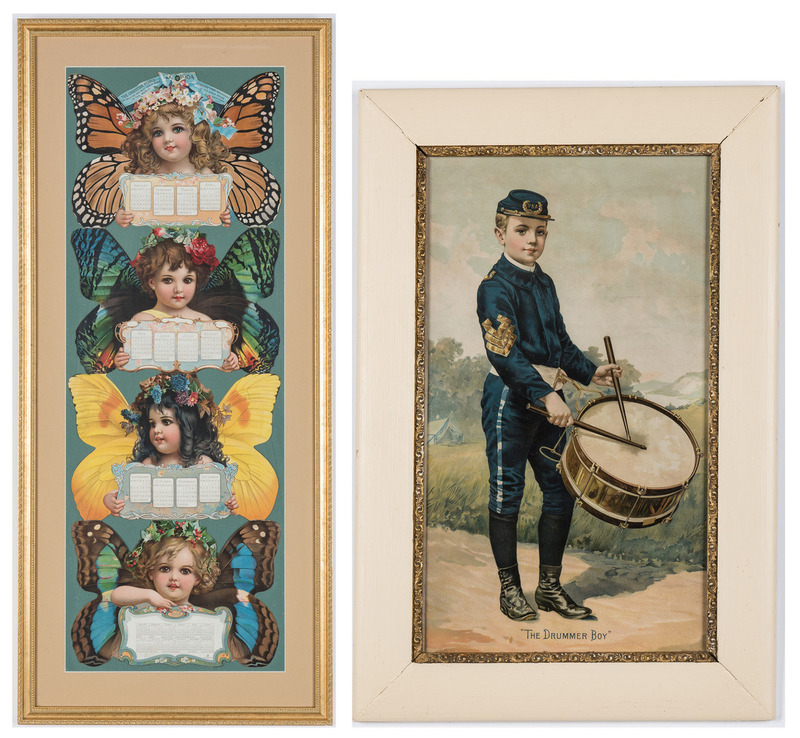 Two (2) Late 19th/Early 20th Century Advertising Chromolithographic Print Items. 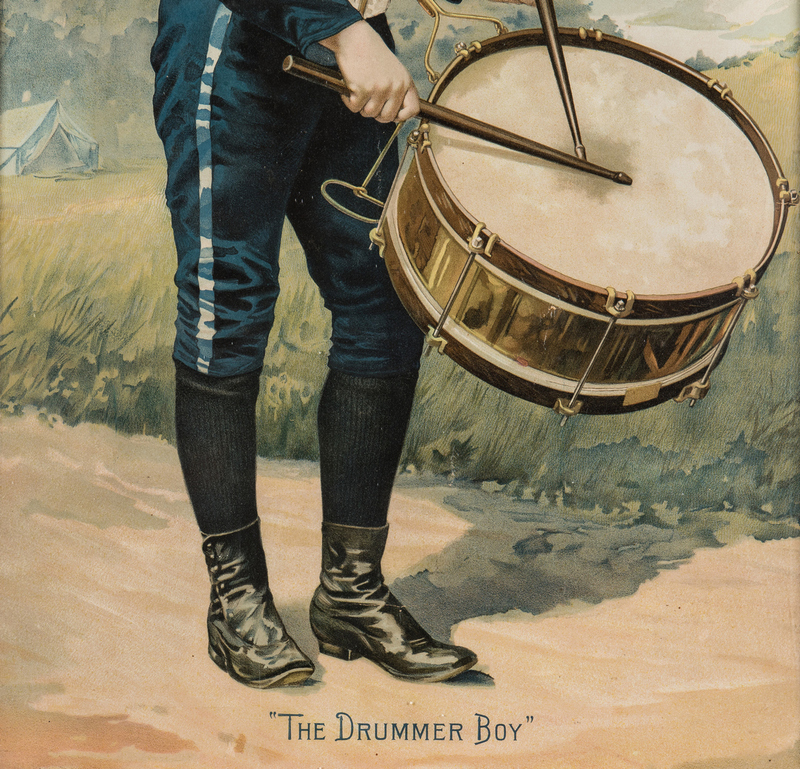 1st item: Print for Star Soap, Schulty & Co. titled "The Drummer Boy", lithographed by Donaldson Bros., Five Points, New York City. 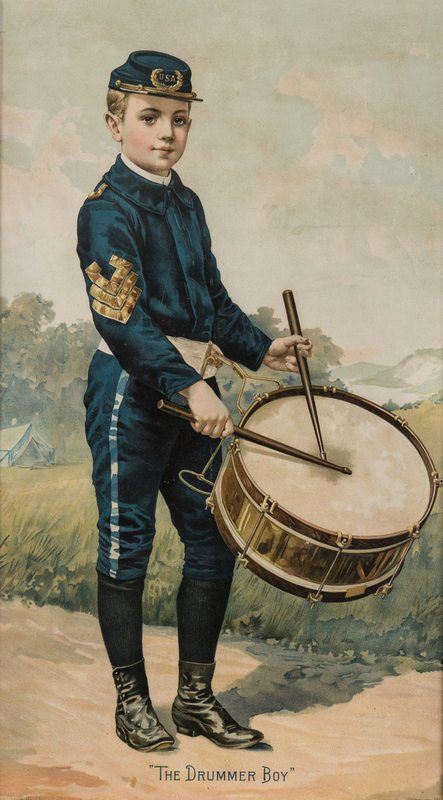 Depicts a Civil War era drummer boy dressed in a Union uniform with a battlefield setting, background. 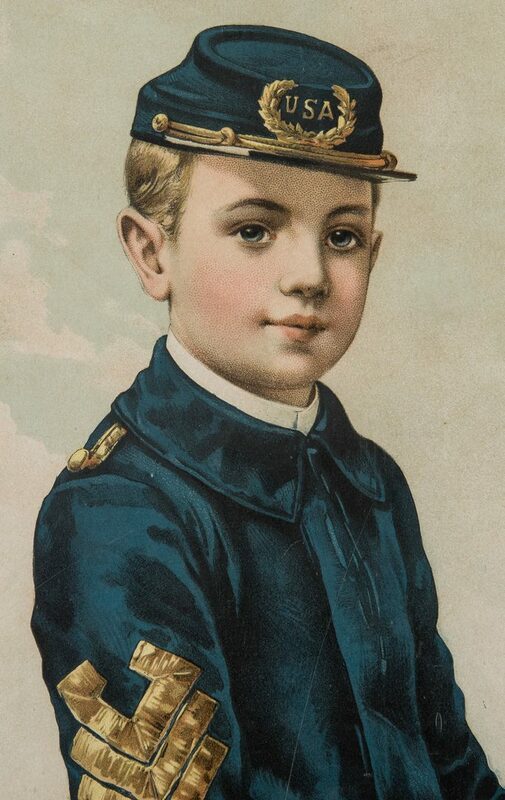 Titled, lower center of print. Handwritten information attached, en verso. 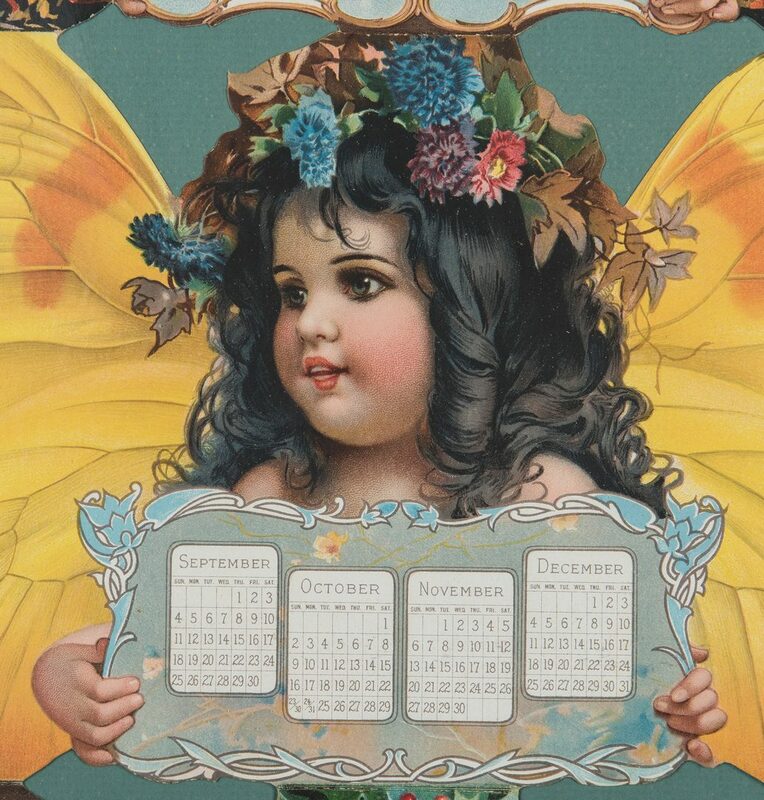 Housed under glass in a white wooden frame with carved gilt wood rabbet edge. 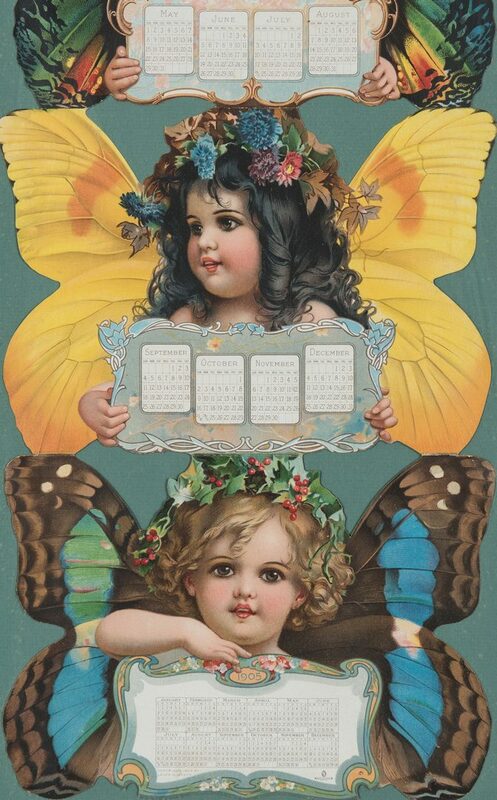 Sight – 24 3/4" H x 14" W. Framed – 31 3/4" H x 21" W. 2nd item: Folding calendar for the years 1904 and 1905 published by The Christian Herald, New York City. 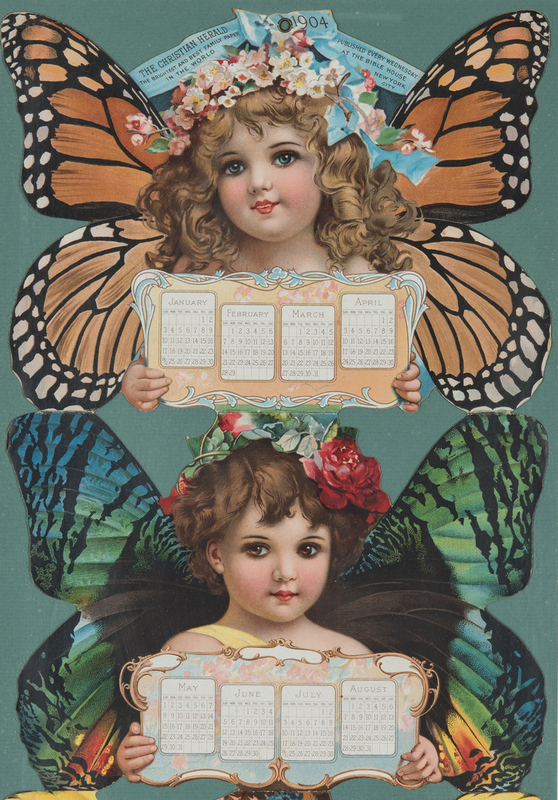 Calendar is divided into four parts, each in the shape of a young girl with butterfly wings, three (3) holding placards with four months for 1904 and one (1) holding a placard with all twelve months of 1905. 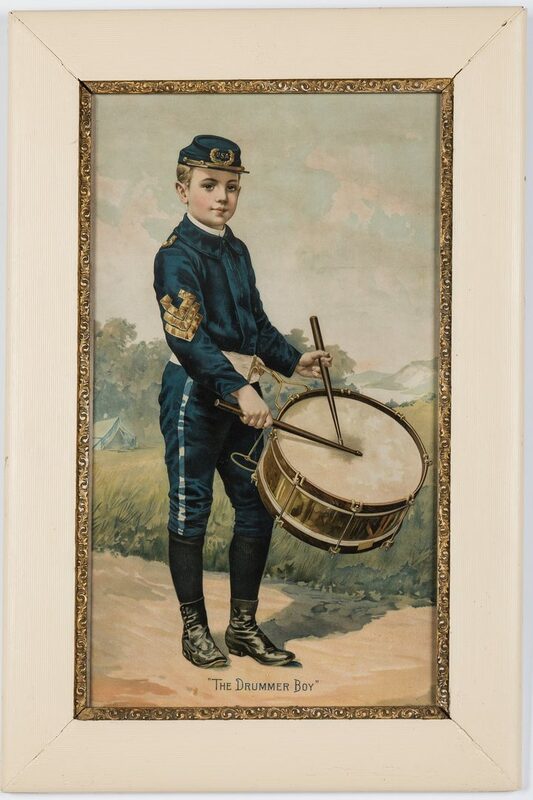 A brass grommet and publication information across the top. Float mounted and matted under glass in a carved gilt wood frame. 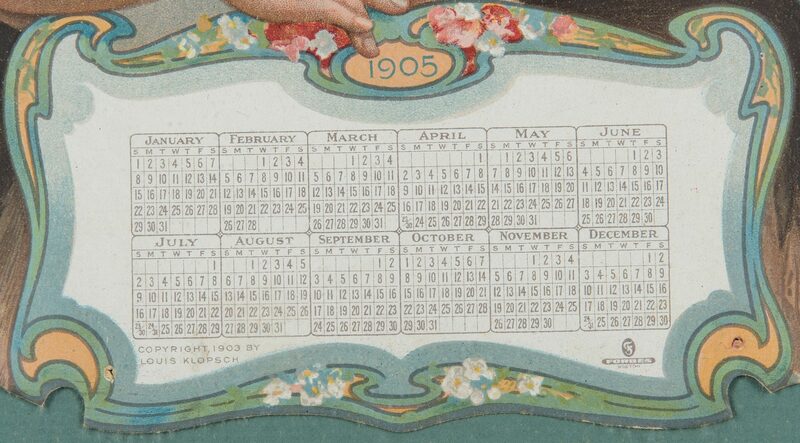 Calendar – 29 /2" H x 10" W. Framed – 15 1/2" H x 34 3/4" W. Provenance: Estate of internationally known ragtime pianist and historian Johnny Maddox, Gallatin, TN. CONDITION: 1st item: Overall good condition with rippling to surface of print. Numerous foxing spots, en verso of frame. Not examined outside of frame. 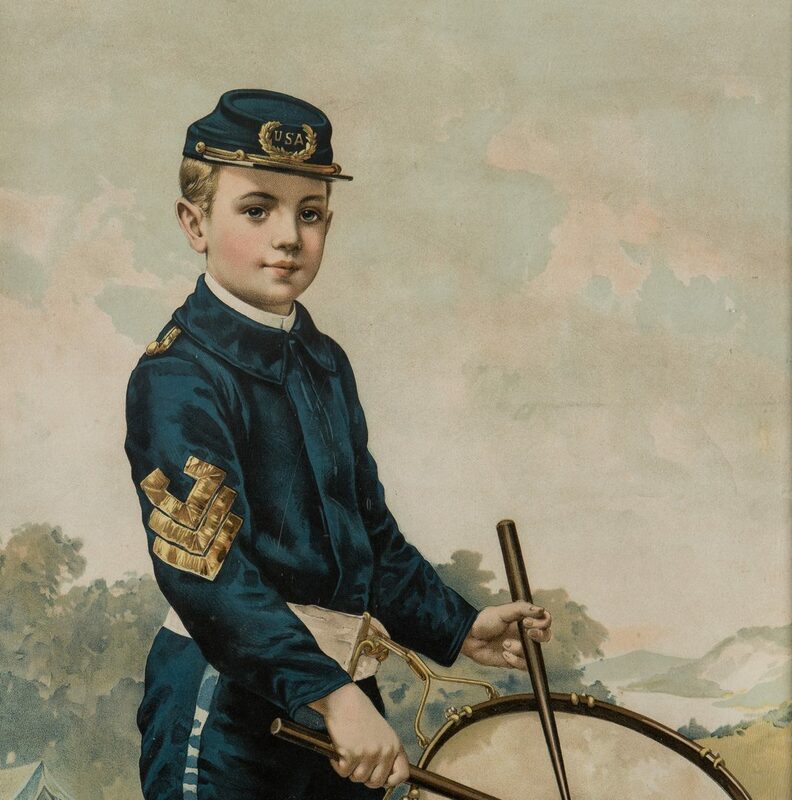 2nd item: Overall good condition. Minute mold/foxing spots evident inside of glass on mat and backing. Not examined outside of frame.